Chapter book meets graphic novel in this first book in the series everyone will be talking about. Meet Frankie Pickle . . . the kid with the world's most amazing imagination! It takes him on adventures. It helps him save the day. And sometimes it gets him into trouble. 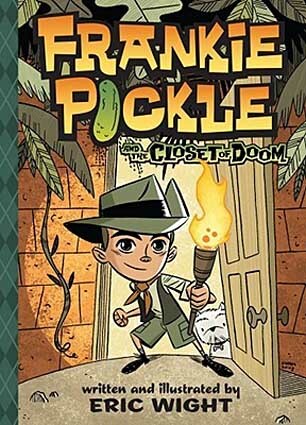 This cheeky, hilarious and—most importantly—action-packed series is bound to appeal to readers who have enjoyed Dav Pilkey's Captain Underpants series and the Big Nate books by Lincoln Peirce.